Hello all, welcome to another Audio Tuesday, and Jessie Potts is here again from the HEA blog to talk about some of her most recent audio recommendations. Kilts, abs, Scottish accents…. Kilts… I can’t get enough of Highland Romances and here are a few I’m re-listening/listening to now. We have a two complicated and intense heroes, an Outlander secondary character, and a fantastic heroine who has been told to wed the notorious Black Knight. Enjoy! This one is hot, (the narrator man, the narrator!) and has a bit of a edge to it. I’ve read the series, but listening brought more depth to the characters and again, a darker edge that kept this historical even more engaging and appealing. While this ends in an HFN and there isn’t another audio out yet, you can always grab the second book Beguiled. I really hope the author plans on continuing in audio because the narrator is perfect for the characters. 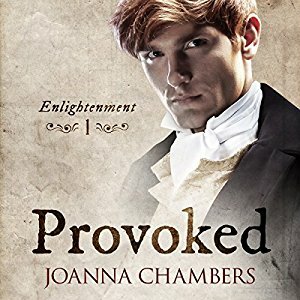 For fans of the Outlander, this is a fantastic side series that follows Lord John, and we get Jamie Fraser’s alternating POVs as well (Jamie!). Lord John Grey is one of those characters that I have learned to love, and watching his and Jamie’s friendship/frenemies evolve and sputter with his admittance of having feelings for Jamie is so enjoyable. While I love Davina Porter’s accent for Jamie (in the actual Outlander series) these two did a decent job. I liked Jeff’s voice better than Rick’s, but again, this entire series (and Outlander series) is just magical. I almost prefer it to the television show. I’m a sucker for a feisty heroine (I know some of you hate that word XD) and a brooding misunderstood hero. 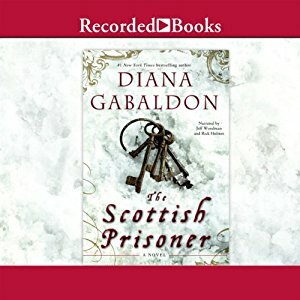 I also chose to rec this book because I just downloaded the second book in the series A Highland Knight’s Desire just came out in audio and I love the hero in that book, Sir Duncan. The narrator does an excellent job with the secondary character’s as well as the MC’s lovely voices and Amy Jarecki writes steamy romances.